Bottoms Up Cocktails, headquartered in Dallas, Texas, produces crisp and refreshingly delicious premium Ready-To-Drink, pre-mixed cocktails, each with their own sense of style and taste. The innovators behind Bottoms Up Cocktails worked tirelessly to develop quality cocktails to meet the needs of “people on the go.” These cocktails were not only expertly crafted, but crafted to be convenient for busy lifestyles. We prepare our Classic line of Ready-To-Drink cocktails using five-times Distilled Vodka, Premium Tequila with Agave Spirits, and Kentucky Bourbon Whiskey. Every batch is made with quality ingredients and inspired by small batch craftsmanship. Learn more about our President, Betty Spining, here. Learn more about Mike Zoob, our SVP of Business Development & Sales, here. Betty “Lily” Spining has successfully navigated the hospitality, consumer packaged goods, food and beverage, and real estate industries giving her the foundation for what works and how to launch and sustain meaningful brands. Her experience over the past thirty years led her to create her own line of ready-to-drink cocktails and mixes to serve the industries’ growing need for convenience and superior taste where guests expect it most. Leveraging the success she had selling a previous ready-to-drink into several hotels, resorts, entertainment venues, private jets and stadiums across the country, she knew with the help of an advisory team to develop the quality and taste, she could offer more variety and a premium product that offers guests a flavorful cocktail with natural flavors and ingredients. Betty is a proven entrepreneur who has owned and managed a PR and Marketing firm serving clients in a variety of industries executing impactful marketing and communications programs for three decades. Specifically, her hospitality marketing career took her around the country consulting for major luxury hotel chains such as Intercontinental Hotels, The Registry Hotel Corporation, Grand Kempinski Europe, and Loews Hotels New York. A major portion of her consulting work was making sure their sales and food and beverage programs were superior to any other hotels and resorts in the country. She provided strategic communications counsel and training to C-Suite executives and marketing decision makers. 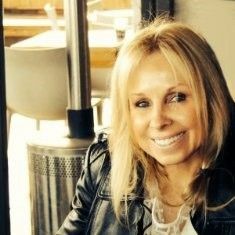 Betty has directed product launches, brand PR, event marketing, internal communications, employee relations, as well as guided many clients through crisis and issues. As President, she will grow Bottoms Up Cocktails with grace, grit, and a laser focus, combining an exacting mix of methodical media relations, unrivaled strategy and next-level service to transform Bottoms Up Cocktails customers into loyal fans of their premium, handcrafted ready-to-drink cocktails. 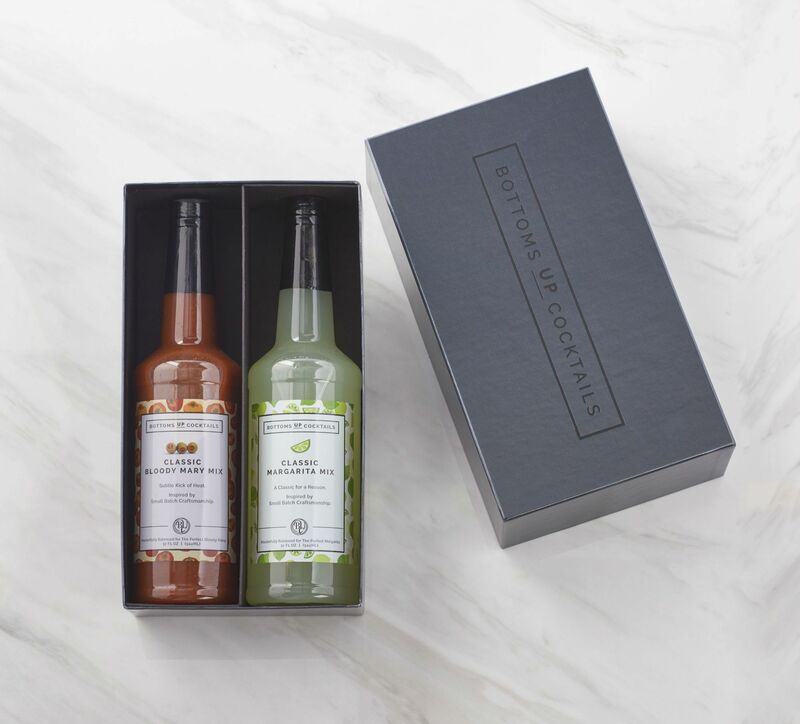 As an avid tennis and golfer who grew up in Santa Barbara, California, Betty is excited to see her drinks where guests can relax and enjoy them. Betty received a 4-year tennis scholarship to Rice University and received her Bachelor of Arts degree in Corporate Communications. Mike brings over three decades of hospitality experience and relationships from real estate, where he focused on providing real estate and business strategies and solutions for clients. His real estate activities involved an aggregate value of over a billion dollars and his customer base included sophisticated clients from a diverse and dynamic blend of real estate transactions such as Whole Foods, Trader Joe’s, Nordstrom Rack, Barnes & Noble, Chase Bank, T-Mobile, Ross, Cost Plus World Market, Victoria Secret, Party City, and Brinker International to name a few. 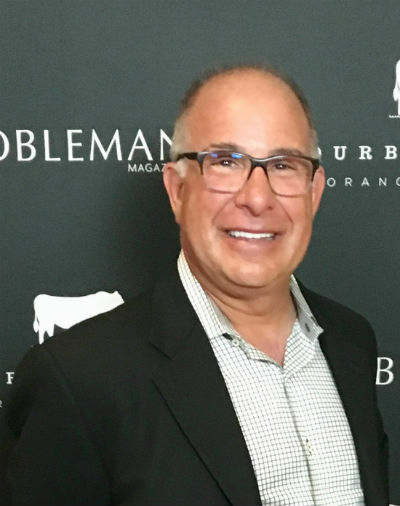 The Irvine Company recognized and awarded Mike as “Broker of the Year” five times for generating, negotiating, and closing multi-million dollar deals. While working with numerous owners/developers such as The Irvine Company, Simon Property Group, The Howard Hughes Corporation, and Macerich to name a few, Mike provided meaningful real estate solutions that impacted the positioning of each project he was involved. He helped to generate strong returns for his partners through income property acquisitions, repositioning, sales and recapitalizations. As Senior Vice President, Business Development and Sales, for Bottoms Up Cocktails, Mike will be laser focused on brand-building and revenue-gaining opportunities throughout North America in multiple channels. With his seasoned marketing and sales expertise and sharp analytical mind, he anticipates new trends and will create strategic plans for those trends. He will build a team that will enable Bottoms Up to become the leading premium-crafted ready-to-drink brand on the market. Mike is a graduate of University of Arizona where he majored in Corporate Finance. He was a member of the University’s golf team and a member of Sigma Nu Fraternity. Bottoms Up Cocktails is delighted to announce a partnership with Dallas LPGA golfer Brittany Lang, winner of the 2016 U.S. Women’s Open, in a sponsorship deal which involves Brittany becoming an ambassador for Bottoms Up Cocktails as she travels around the world participating in the various golf tournaments throughout the 2019 LPGA Tour season. 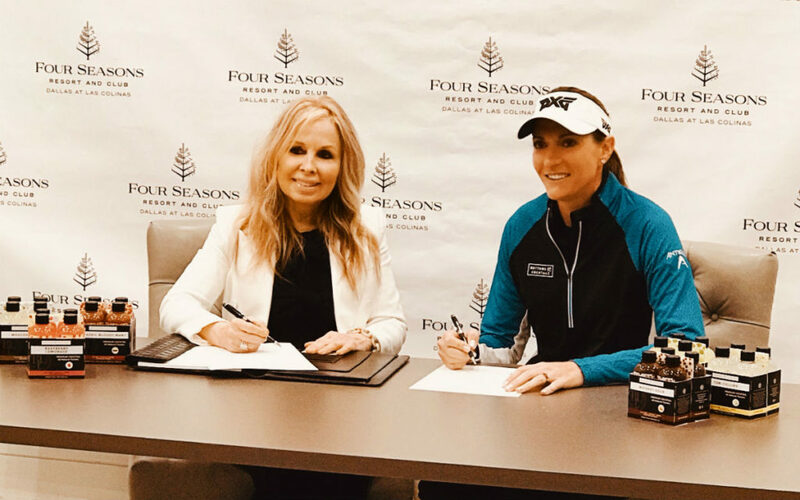 The signing ceremony took place at the luxurious Four Seasons Resort and Club, Las Colinas (Dallas), Texas. Read more about this exciting partnership here. We are proud to share our success as our brand grows. Please check out the rest of our latest news here. Our premium ready-to-drink cocktails offer convenience and taste, perfect for active and social drinkers looking for a light, refreshing alternative to wine or beer [12.5% Alc. by Vol. and 25 Proof]. 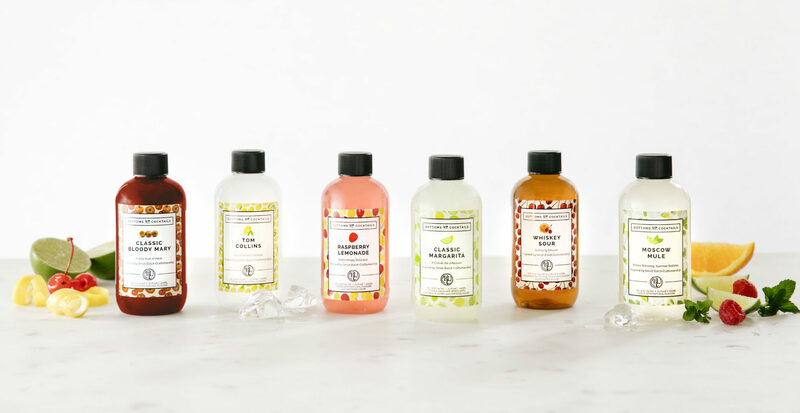 These cocktails come in 200mL plastic bottles with their own beautiful custom 4-pack carton to showcase the product. For generations, the Classic Margarita has been wildly popular thanks to its distinctive blend of sweet and sour flavor features. We couldn’t imagine producing our line of cocktails without one! The quality ingredients create a smooth and delicious cocktail with the perfect balance of premium Tequila, lime, orange liqueur flavor and agave spirit. Pour over ice for a refreshing beverage to enjoy on a sunny day by the pool or on the links with friends. There’s nothing sweeter than the first sip of a Whiskey Sour. We’ve found an innovative way to craft this yummy cocktail using premium Kentucky Bourbon Whiskey along with syrup and lime flavor. The flavor can be described in a similar fashion to Hemingway’s writing style: refreshing, yet action packed. Garnish with the signature cherry and orange slice, and savor every sip. Our Raspberry Lemonade can be classified as a divine sip of pink goodness reminiscent of a porch swing kind of afternoon. This delicious and easy-to-drink lemonade cocktail is a hit with any age group and is sure to bring happiness whether sipping alone or with friends. So pour a glass, kick up your feet and find a sunny spot. It will brighten your day. Guaranteed. The Moscow Mule is a favorite cocktail of drinkers across the globe. Even though it only has three ingredients, the complexities and harmonies of its ingredients brings delectable flavors to unsuspecting taste buds. With lime flavor, premium Vodka and the perfect dose of ginger, the Moscow Mule is a tasty cocktail. Shake twice and pour over a full glass of ice. The Tom Collins has immortalized itself into one of the most iconic gin cocktails. It’s simplicity is just one reason why the Tom Collins has long been a staple for so many cocktail connoisseurs. Made with premium Vodka, juniper berry [Gin’s main ingredient], and a dash of cane sugar, our Tom Collins is formulated from the highest quality ingredients. Add a lemon slice for a perfectly refreshing way to end your day. A truly great Bloody Mary is hard to come by, but we believe we’ve done it! Starting with the highest quality tomatoes from Northern California then adding in premium Vodka, dill pickle puree, lime juice, salt, pepper and a touch of Worcestershire sauce makes for our perfect Bloody Mary. Our unique twist on the classic Bloody Mary brings a burst of flavor with a kick. Throw in your favorite garnish to brighten even the toughest of mornings. Our Classic Margarita Mix has the same flavor profile as our Margarita RTD but without Tequila. Sweet, tart and refreshing, our mix is everything you could want in a Margarita. It’s fun, has familiar ingredients that give it its South of the Border flavor and easily customizable by adding Tequila [if you prefer it that way]! It is perfect for any and all gatherings–big or small. Enjoy this splash of sunshine in a bottle. Bloody Marys often have to be doctored up by adding peppers, Worcestershire sauce, Tabasco, celery, salt and pepper…the list goes on which seems ridiculous. Why not create a mix that’s good right out of the bottle? We’ve done it! Our mix is inspired by small batch craftsmanship with a flavor that is well balanced and incredibly savory. We did not want too much tomato, and wanted it a little beefy with a hint of spice–not too hot, not too mild. Enjoy this tasty treat with your favorite green veggie as a garnish! The stunning Black “Amenity” Boxes exude first class treatment with a delightful food experience and tasty premium ready-to-drink cocktail(s). If you have spent so much time making a guest’s hotel stay and/or a golfer’s tournament experience exceptional, their VIP amenity should be just as exceptional. 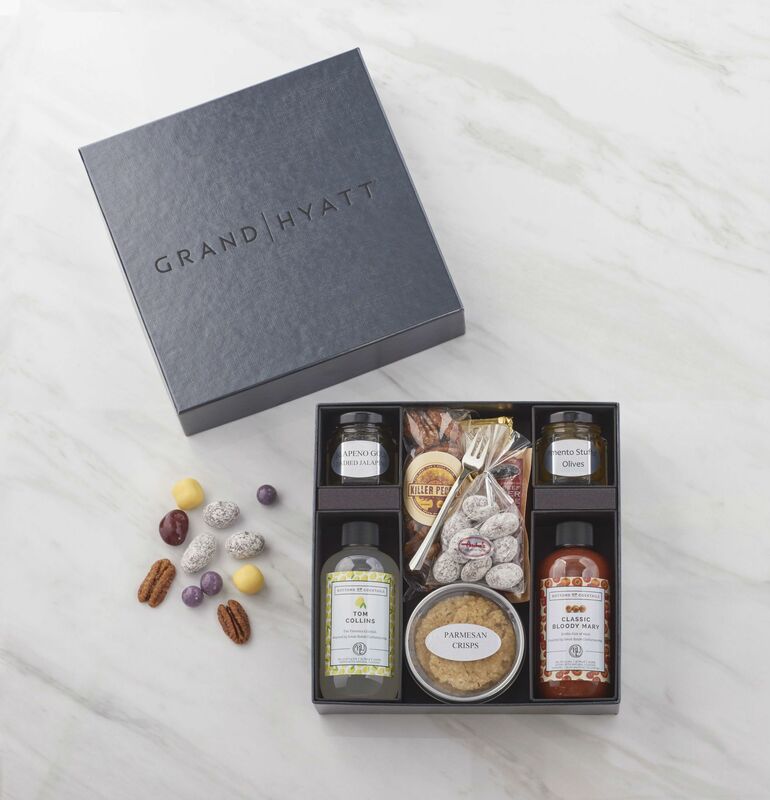 Even though our primary goal in creating The Black Box was to elevate the VIP and loyalty amenity programs of the hospitality industry, you do not have to be a hotel or golf club to order. 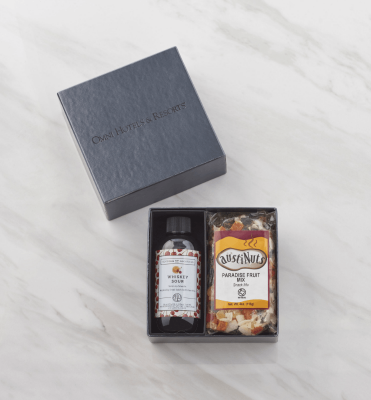 We will proudly serve any customer wanting to provide a unique gift box to their members, guests, and/or participants. We can custom design any of our boxes according to the needs of our customers. Includes one ready-to-drink cocktail and one or two gourmet snacks. Includes two ready-to-drink cocktails and a variety of premium gourmet snacks. 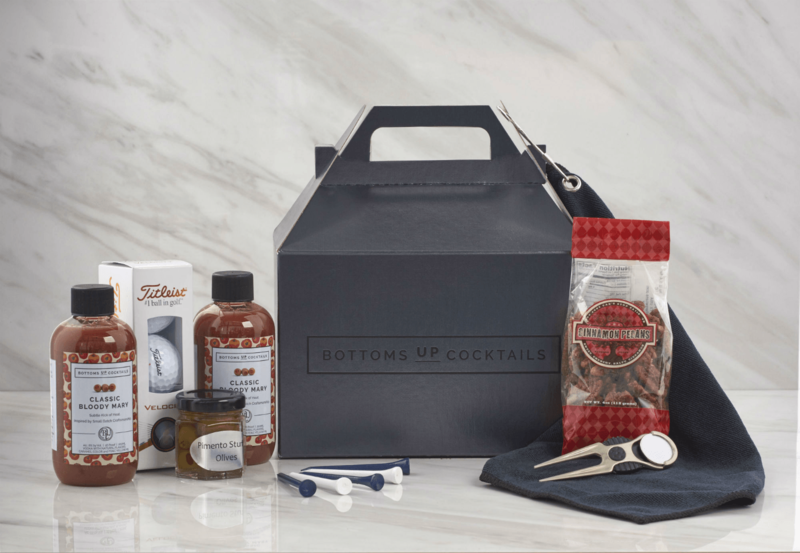 Includes one or two ready-to-drink cocktails, sleeve of premium golf balls, long wooden tees in a velvet black pouch, golf towel and one or two gourmet snacks. Can be customized to fit into an 8” x 8” Black Box if desired. Includes all six of our premium cocktails. Includes both of our premium mixers. Our Gourmet Snacks vary from all types of nuts, to cookies, to chocolate covered fruit, to olives, to jelly and crackers. List of Gourmet Snacks available upon request along with pricing. Bottoms Up Cocktails must be purchased from either a distributor or retail package store in your State. Alcohol laws vary from State to State. We can customize any of our Black Boxes to fit any need or budget. A Special Fee will apply for the “customization” of The Black Box, embossing your logo to the cover and on the vellum inside. 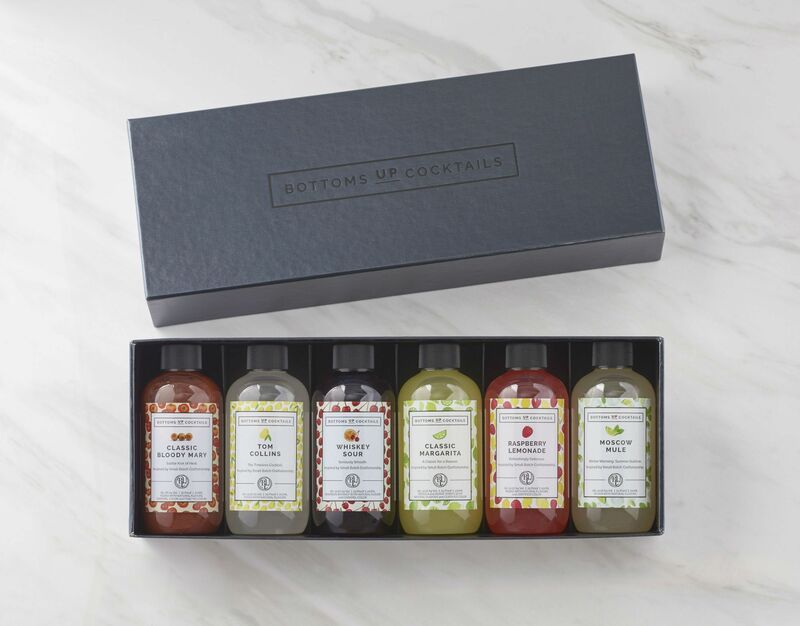 The Bottoms Up RTD Cocktails are a perfect solution at stadium and concert venues, hotels and golf resorts, wedding receptions, casinos, airlines/airports, cruise lines, conferences, or for just someone who doesn’t want to spend the time, energy, and money it takes to handcraft the perfect classic cocktail. The convenience of these ready-to-drink premium cocktails give entertainment seekers variety over the beer and wine limitations they usually face in many of these venues. Bottoms Up Cocktails are now available in all 26 Texas Total Wine & More stores and, hopefully, other retailers very soon. Our distributor in Texas, Velocity Distribution Company, has contracted with a nationally licensed distributor, to get our brand to market as quickly as possible in all 50 states. Our products come in cases of 48 singles and 12 4-pack cartons. If you would like to carry Bottoms Up Cocktails, please contact us at 214.632.3355 or at Betty@BottomsUpCocktails.com.